Along with the elite agents of Himitsu Takana, he's out to save the world...one mission at a time. 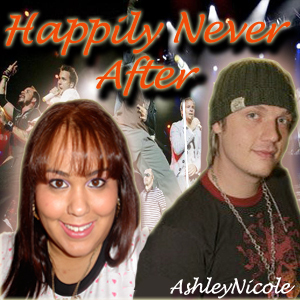 Summary: Whether you're Nick Carter, or one of his fans...your life expectancy isn't that long these days. This series features two round robins. 1000 Ways To Kill Nick Carter - where we kill Nick in every chapter. Ashley is just your typical 12 year old girl; young, carefree and happy. Being raised by a single-mom hasn�t always been easy for her. Her mom had to work hard for the little they had, but they had each other and the help from their family.rnrnWhen her mom is called away on a business trip she is left in the care of her older cousin, Alex, who is on break from recording and touring with the Backstreet Boys. She hasn�t seen him much since he�s been on tour and she�s excited to finally spend some quality time with him. Then the unexpected occurs, and her life is changed forever. Will she be able to move on and create a new life for herself or will all the changes prove to be too much for her? Two years have passed and Ashley is graduating high school and ready to move on to the next chapter in her life, college. Now eighteen she has chosen to move back to her hometown of Orlando to attend her mothers Alma Mater, The University of Central Florida. Deciding she needs one great summer, before returning to the stress and pressures of school, she decides to join the boys on the Never Gone tour. With Ashley finishing school and AJ doing tour promos they haven�t spent as much time together as they usually had, and AJ sees this tour as an opportunity for them to catch up on missed time before she moves away. His plans for quality time are cut short when Ashley starts showing interest in Nick. At first he shrugs it off as a childish crush but when they start getting closer he begins to get irritated. Will he let his jealousy get in the way of their relationship or will he finally realize that Ashley is growing up? Summary: A.J. & his little sister, Tesia, are in for good times and bad. But which times will prevail in the end? And will both be able to overcome everything that comes their way? 1st Note: This series is far from done. There's still so much more to tell, but I'm just a bit slow at getting it all written. 2nd Note: Concrete Angel is an alternative story for this series. It's basically just a 'What If' fic, so in a way it's not part of the series, but in a way it is. Summary: A collection of shorts centered around the monthly challenges on the AC Forum. Summary: A series of challenges I've done for the AC forum. Some of the guys have a turn in babysitting the Backstreet Kids...how will it go? How much trouble will the kids get into? How will the guys handle it? Summary: The story of what happened when Aj learned of a fan fiction contest called "Boring AJ." Summary: **Author's Note** This series is a rewrite of "The Backstreet Romance Series." I decided the title was lame and the books were poorly written. It needs to be more concrete so a rewrite was necessary.rnrnEach book in the series have the same characters and ongoing plot, but told in perspective of two main characters. The entire series will go from the year 1998 to present. It will be a very long series, so I definitely recommend reading it from the beginning. The many adventures of Amelia Sabera and her tries at happiness. How long before she realizes the real reason behind her journey?